The fewer number of variables contained within a problem, the easier it is typically solved. In the packaging world, several effective packaging factors consistently influence job outcomes, making for a tough balancing act, at times. On one hand, packagers operate according to rules, regulations, and oversight from various agencies. Yet at the same time, packaging companies ultimately answer to consumers, who put-forth complex, shifting demands. 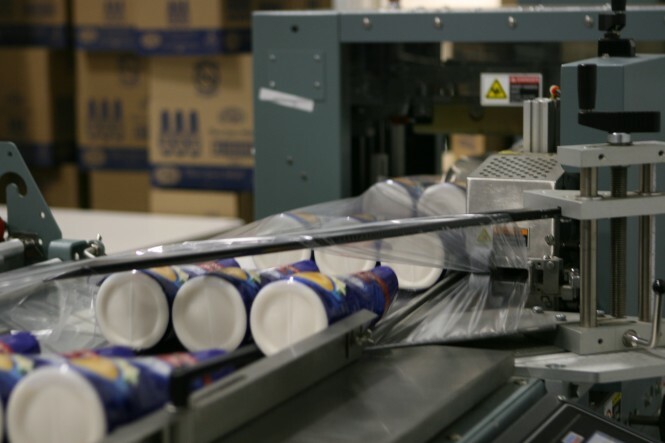 Successful packaging companies walk the fine line between customer satisfaction and regulatory compliance, helping manufacturers protect and promote their products, while still finding ways to connect with competitive consumers. Like other consumer industries, packaging profitability relies on a cycle of production and sales. Somewhat unique to the consumer packaging businesses, however, is the pace at which technology changes best-practices and consumer demand alters production. Responding to these two influences alone keeps contract packaging companies active, but effective operators must also find efficiency in other important areas. In order to stand out among competitors and create positive outcomes for clients, for instance, the most effective packaging companies add value throughout the fulfillment process. In addition to tangible concerns, ranging from size and shape, to materials preferences and design considerations, manufacturers and their packaging partners focus on packaging value – beyond practical features. Each style of package must of course do its job protecting and preserving contents, but maximum value goes beyond simple functionality. Recognizing the packaging value chain and using it to your advantage calls for a complex blend of understanding, experience and direct consumer feedback. In its simplest form, the value chain represents the most positive customer experience available, offering added dollar value, convenience, ease of use and other coveted consumer benefits. By pressing the right buttons, each packager hopes to make a sale and a lasting impression. What better way to connect with buyers than elevating the positive impression and perceived value associated with your brand? Leading contract packagers balance multifaceted projects without losing sight of end-users. Experienced packaging professionals have tools in place to guide projects from start to finish. Dedicated project managers, for instance, ensure each packaging project stays on track, creating seamless accountability at every stage. Varied experience and exposure to widespread industry practices gives established packaging providers an advantage, preparing them for challenges new to you, but familiar and manageable in-house. From design consultation, through materials selection and execution, expertise and unified service add value to packaging prospects – at each stage of fulfillment. Packaging styles vary in size, shape and construction, but packages bound for retail shelves share a common objective. A particular package’s ability to sell adds value, which can dramatically impact returns. The most successful packaging companies are adept at ‘humanizing’ packages, in order to facilitate consumer connections. Using wit, humor and clever presentations, packages share marketing messages, but their surfaces also bear instructions, health information, and other vital data. The ability of a contract packaging company to accurately, efficiently represent brand values and messages sets it apart from companies unprepared to maximize this added value. Effective packaging campaigns encompass multiple disciplines, including design, compliance, production efficiency and other specialties. Cost-effective logistics management, for example, is a crucial component bridging the gap between product conception and shelf-ready units. As producers trace their steps bringing goods to market, the value of packagers familiar with every stage of the process cannot be underestimated. Not only do seasoned packagers avoid missteps, but competent contractors also create efficiency and increase profitability. By applying the correct materials and methods to each project, progressive packagers reduce costs and add value – especially managing logistics, which represents substantial distribution costs. Maintaining multiple locations, for instance, is a hallmark shared by well-connected packaging contractors, capable of trimming transportation and sourcing costs, by design. Fast fulfillment keeps inventory flowing. And in today’s highly personalized marketplace, quick, targeted marketing efforts give vendors a competitive advantage. Not only are warehoused inventory costs reduced, but fast turnaround from contract providers also gives you more flexibility to move nimbly as market demands shift. When units sold matters, down time translates to lost revenue. So, while long-range production planning is essential, competing now requires short-term emphasis relying on packagers’ ability to deliver quickly. The information age demands greater accountability from suppliers and packagers, furnishing widespread access to information about vendors. And the consumer call for transparency carries-over to every stakeholder bringing goods to market. As a result, responsible production and packaging claims have become integral to marketing strategies, featured on labels and promoted as added value. Contract packagers upholding high production standards and ethical labor practices reflect the values of end-users, so companies aligned with conservation and sustainability causes are in the best position to serve public demand. Packagers are influenced by a number of forces – from public perception to client demands. With so many factors at play – sometime at odds – packaging success requires balance and innovation. In order to set themselves apart from competitors and establish lasting relationships with clients and consumers, industry leading packaging companies have found ways to add value during the fulfillment and marketing processes. And while service and experience go a long way furthering producers’ goals, modern packagers are also well schooled in logistics management, sourcing, and materials technology. Great article on effective packaging!